The development of easy serve espresso pods has been a decisive moment in the history of espresso making. 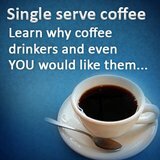 The art of making excellent espresso has been demystified and has become a very simple matter. Fortunately, solid Italian coffee companies such as illy and Biancaffe can be relied upon to still deliver the finest Arabica coffee in a range of ESE pods. E.S.E. espresso does not really differ from “hand-made“ espresso at all. 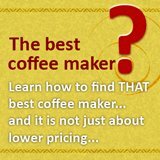 However, the advantage is that the proportion of coffee to steam is always correct and that, in turn, will deliver a consistent beverage every time. ESE pods come in all sorts of ranges and flavors. 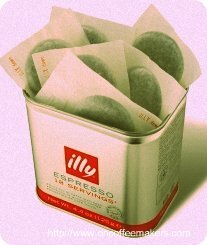 The illy ESE pods have three “flavours” – the medium roast with the distinctive red band, the dark roast with the distinctive black band and the decaffeinated coffee with the green band. The illy coffee pods have three distinguishing features. The first is that each pod is wrapped individually which means you do not have all of the ESE pods banging around in the box. Each is wrapped individually which helps retain the integrity of the pods. 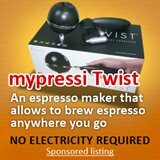 Secondly, as with the whole bean illy coffee products, only the finest Arabica coffee beans are used for the E.S.E. pods. 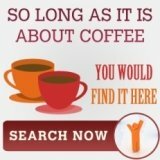 No use of Robusta coffee is made even if it is cheaper and has a higher caffeine content that the Arabica coffee. Only Arabica coffee is used in the illy E.S.E. pods. Thirdly these E.S.E. pods are packed in a carbon dioxide rich environment and are also sealed in this environment. The carbon dioxide rich environment will deter the normal oxidation process which I turn will mean that the coffee packed is fresher and it will retain its freshness for longer. So what does this mean? When you get E.S.E. pods from illy, you get pods that are in a good condition, contain the finest Arabica coffee and are on average a lot fresher that other ESE pods on the market. Retailing for around twenty six dollars a box these pods are competitively priced for the value they give and the espresso experience they create. Some might bemoan the “lack” of choice in this particular range of E.S.E pods. Some coffee houses will even offer tea pods in their range. The discerning espresso lover will appreciate that the range on offer by illy covers the essence of the espresso experience. The medium and dark roasts complement each other and the decaffeinated pod is for those that enjoy the taste but do not want the caffeine.